What’s $100 Worth In Your State? 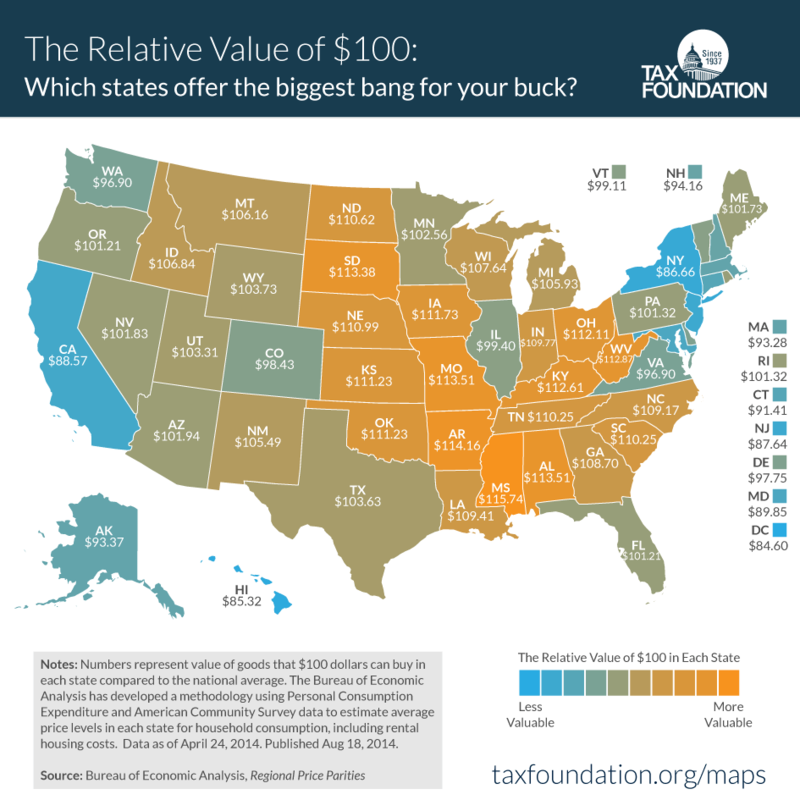 The Tax Foundation just released new research that shows how much $100 is worth in each state. When accounting for living expenses, purchasing power, and taxes, the organization found that your money’s value varies greatly from state to state. In fact, if you have that money in Mississippi, it’s equal to about $115.74, when compared to the national average. Or, if you live in D.C., that only equals $84.60!